In 2018, 70% of people who moved home or remortgaged used a broker to assist with the process. The benefits of a broker are significant: they can offer valuable advice to those seeking the best mortgage product for their situation. In addition, you will be taking advantage of the broker’s many years of experience, so you know you’re dealing with an expert and that the broker is motivated to getting your mortgage application agreed quickly. Using a broker ensures that you can complete and move into your new home quickly, which saves you time, money and stress! Using a mortgage broker is as simple as making a phone call, but before you dial, take a look at your situation to determine what type of broker you need. There are two different types of mortgage brokers: brokers able to advise on deals from a small limited list of lenders, or brokers who work from a comprehensive range of lenders covering the majority of the mortgage market. It’s worth considering the latter, as many lenders who are very well established in the mortgage market don’t have a high street presence, and therefore, a broker with a smaller list of lenders to access may not have access to their product. These broker specific lenders are often more competitively priced than some of the big high street names. If your circumstances are slightly out of the ordinary due to income, credit score, or the size of your portfolio, these lenders will often have suitable products available. Your broker will be able to engage directly with these lenders, so they can prepare you to proceed and ultimately be successful at application stage. A mortgage broker will be able to offer personalised, unbiased advice, tailored to your specific financial situation, as well as a broad look at all of the products available on the market. 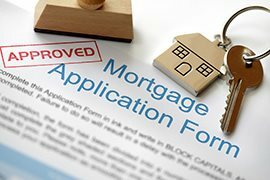 They will have a good grasp on what the various lenders are looking for from mortgage applicants and how to package that up, so that your application stands more chance of being approved, saving you time. In order to practice as a mortgage broker, an adviser must be qualified. These qualifications entitle the consumer to some protection. As an expert, the mortgage broker knows the industry, and should be able to offer you the very best advice. However, the protection does not stop there. Should you receive advice on a mortgage product, and later find that the product is not affordable, you could have recourse to claim money back via the Financial Ombudsman. With so many available lenders it can be difficult to know where to start, as most lenders have their own specific mortgage criteria, income multiples, stress tests and affordability calculations, your broker is going to be essential to navigating the market to get the best terms possible. The last thing you want to do is apply to the wrong lender and be declined. Most brokers have access to exclusive, ‘broker only’ deals, that offer competitive rates to their clients. As we mentioned before, brokers are experts in their field, so they’ll be able to access the very latest deals, and have extensive knowledge of the ins and outs of various lenders. Mortgage brokers don’t just advise on your mortgage. They are also qualified to advise on life, critical illness and income protection insurance. There is too often a huge focus on obtaining the best mortgage, whilst forgetting that life is unpredictable. Having the correct tailored protection in place can ensure you stay in the home and protect your family and income. These types of insurance are always optional, but it’s of course not optional to pay your mortgage each month, and your broker can create a specific protection recommendation for you and tailored to your budget. If you would like to review your mortgage options please contact Portico Finance on 0207 731 9680 or email finance@portico.com! !